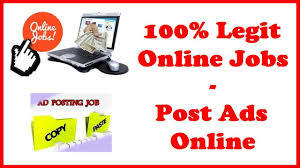 What you need to Know about Legit Online Jobs – Scam or not? I would like to warn you of another barely workable online so called money making system, see full review below. If you would really like a scam free money making opportunity, then read my personal view here. I beg your pardon! He wants us to believe that there are a number of big companies all over the world just waiting to pay us money? Just for putting an advertising link in a blog? I would think that especially big companies will have an advertising budget big enough not to have to rely on some amateur affiliate hobbying along. And not all of the companies will even have an affiliate program. Why would one of the biggest companies in the world, Google, need us to advertise for them? This also a far cry from being the one-stop source for all work at home jobs information. The website homepage starts with the story of an unemployed dad who went from nothing to earning some $9000 per month working online. His story ends with the fact that, after searching the internet in vain for a long time, he finally came to find something that worked. He does not tell us what is was, nor does he tell you what he did, how he did it and how much time it took. In fact, his story could be incorporated in almost every similar advertising program, because it is one big generalisation. I guess that the creator of this website wanted to imply that our ‘incredibly successful dad’ did it through Legit Online Jobs, but this is not substantiated anywhere in the text. They claim that all you need to get started is your computer and internet access. You’ll be posting short text ads for companies and submitting them into various online forms. No prior skills or work experience required, just basic computer skills. If you are a committed individual and think you can put in an hour or two per day submitting these ads, we want you on board! 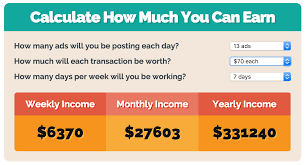 What this tells me is that you do not need any training, you will do a little posting and when you do it enough, you could be making $9000 in a month. They say that they will give you anything to get started, including some sample info that supposedly should be copied and pasted into the forms. I would say, this cannot be much as the one-time fee is only $35. They are then emphasising that you can effectuate the posting in your own time, at your own pace, with absolutely no restrictions. The money-making potential is unlimited and once you have started, the program will virtually run on auto-pilot. They are then implying that you do not need to be at your computer all day. They call this commitment! The website then produces a large piece of information about possible earnings. Our allegedly successful dad is back with a screenshot of his accounts, which has been heavily redacted to delete anything of real value to us, but he calls it proof the system works. He goes on to say that everyone of those companies always pay the bills, never pay late, so would never have to worry about your money. You also will get paid in any sort or manner you wish. But you see, this is such a unique opportunity, you have to subscribe now, today! These kind of tactics, this one and the discounted one-time fee, are always a sure sign that something is amiss. They want you to believe that so many people are signing up, but that there are only limited places available. All this just smells fishy. At least that is what they want you to believe. What that comes down to is listing the advantages of working from home, no words about the work to be done. They even give you a calculator where you can discover how much you can earn, the basis of which is totally missing. Then out of nowhere they give you three bonuses: real online jobs, making money doing surveys and making money on E-bay. If I am going to buy and sell on E-bay, I will go straight to E-bay. Why would I have to go through Legit Online Jobs? 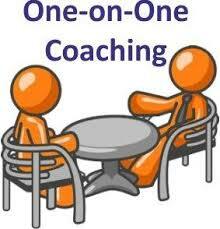 Then there is the promise of one-on-one coaching program. You will have a personal teacher who will be with you every step of the way. I do not believe for one minute that this is true. The hourly fee of a personal tutor could already be 10 times the entry fee. If I had ever seen an empty promise, then this is the one. After all the beautiful words, promises of riches at minimum efforts, they finally come with the truth. You will not find this on their homepage, but need to click the small print at the bottom. They also finally admit that: Success in ANY money-making opportunity is a result of hard work, time and a variety of other factors. This Legit Online Jobs website is misleading, our successful dad might have made the money with them, but then again, maybe not. It is contradictory: they promise riches, next they say you might earn nothing; they claim that 1-2 hours work per day is commitment, but then say it takes a huge effort. It is confusing, because it mentions you need to fill in forms with ads, then go on to talk about all working from home jobs. It gives a lot of non-information and a lot of essential information is not there. The big question: ‘what do I get for my money?’, has not been sufficiently answered. If filling out forms with ads is to do the trick, how is that going to happen? In affiliate marketing you need to carefully build a website and fill it with quality content to have any chance at attracting an audience. This wold take at least months, but probably over a year of hard work, training and the right support. I happen to know the best program in the world to realise a successful internet business: Wealthy Affiliate (WA), established in 2005, scam free, professional and reasonably priced. Read all about this unique, once in a lifetime opportunity, in my full review here. If you have any questions, please leave them in the comment box and I will respond within 24 hours. A nice site and a nice review. Thank you for finding yet another scam. When money is tight and you are getting desperate it is easy to fall victim of these people who do not care about where other people are. So, is the answer out there? What do you suggest? As part of my job I will continue publishing product reviews of the various programs out there offering riches and all that, some of which are pure scams. I can only hope that even desperate people will think twice and research before signing up to one of these so-called opportunities. Previous PostPrevious Is World Ventures a Scam or just a No-go.